Brainmeasures(An ISO 9001-2008 Certified company) is a leading online certification and employment testing company which has helped millions of people achieve their goals by giving them the platform to showcase their knowledge and skills to prospective employers. Respected and most trusted name in the field of online certification, employer`s worldwide honor our online certifications and pre-employment assessment tools when it comes to testing and choosing employees for their organizations. Brainmeasures online certification will give a boost to your career and open up new job avenues, till date millions of people have benefited from our services and are working in leading companies of USA and worldwide. Project management certification "Your Guide to Success"
Read testimonials to check what Brainmeasures certified professionals across the world have to say about the content and quality of BRAINMEASURES ONLINE PROJECT MANAGEMENT COURSE AND CERIFICATION. The pace of change in business and technology is accelerating. If the organizations remain rigid, they can never achieve success in this flexible environment. More and more organizations are adapting to the project based structure which gives them higher litheness to move faster. With the increase in this trend it becomes necessary to train project managers. Managers should seek knowledge in the area of project management to cater to such organizations. 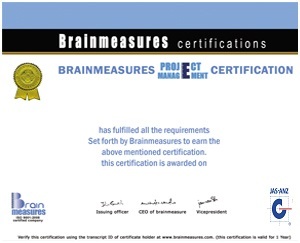 To help the managers achieve an extra edge Brainmeasures presents its Project Management Certification (comprising course and certification exam).Keeping its tradition alive of providing quality material, that would serve as immediate aid to project managers, needless to say that this Online Project Management certification and courseware is attuned to the requirements of new as well as experienced project managers. Brainmeasures project management course material aims to provide a systematic introduction to project management; it attempts to strike a balance between theory and research findings. No other courseware can provide such in depth and well researched course material which has taken care to include all the minutest details to give you a-z information on the subject. This course will prove to be a comprehensive and detailed enough in covering the conceptual and theoretical knowledge of the subject. Brainmeasures project management course is written with the view of educating managers about project management. It lucidly explains the basics of project management starting from defining projects to making the managers understand the future of project management. It seeks to help you understand every intricacy involved in the course of project. It explains various phases of the project starting from the conception of an idea to the lessons learned from the project. It will work as an easy guide to a manager who seeks to understand what processes are involved in projects and how to use the techniques involved for the benefit of the project. It offers the managers explicit examples to give them better understanding about the usability of the techniques defined. It attempts to cover the human aspect of the project management which may be ignored by taking pure technical outlook for projects. Many a times, knowledge to manage project teams have turned around the fate of the projects. 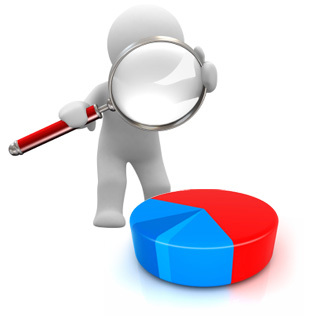 An analysis of potential problem areas is given which will help the manager remain aware at various stages. It will help the manager pose a proactive approach towards the potential problems and how to deal with such problems if they arise. In short, this is the best online course and certification program which will help you know everything you need to manage a project. It includes simple techniques which can help you at each and every stage of project management and offers the most practical, interesting and comprehensive literature on project management. Brainmeasures project management course and certification is a complete information portal and A-Z guide that will help you learn all the necessary techniques of being a successful and in demand project manager. Our course has been developed by experienced project managers who have accumulated this skill to perfection through years of hard work and have under their belt uncountable successful projects. Brainmeasures project management courseware is the most comprehensive well researched course available on project management, it is a perfect mix of extensive and intensive knowledge source and all the aspects of the subject have been kept in mind while designing this course and certification program. Special effort has been made to make this project practically viable as team brainmeasures knows that in the real world you will be judged by your practical skills and not mere by your theoretical knowledge. Following are some important aspects of this online Project Management courseware which has made it unique for Project Management certification preparation . Concepts defined thoroughly with sufficient examples and explanations. Real time data is provided to give a clear understanding of the concepts. Summary provided at the end of each chapter to recapitulate the entire concept. Test your understanding section is provided to measure the understanding of the reader. Brainmeasures certification exam is based on multiple choice question format (each question has 3 to 4 answer options and you have to have to choose one or more right answer option).All questions of final certification exam will be based on Brainmeasures Project Management course. Which method of information gathering for risk assessment requires that the participants each write down what risk they think the project faces with each participant writing down only one risk? 3. What are the ways of reducing the internal risk? Final Project Management certification exam consists of multiple choice questions with one or more right answer options. Final exam is based on Brainmeasures Project Management course, if you have thoroughly gone through the courseware you won’t face any problem in clearing the certification exam. As soon as you pay for this course you will be given access to the Brainmeasures Online Project Management certification course program. Go through the courseware it will take you from 15 days to a month to study the whole material, it entirely depends on your dedication and hard work. Take the test to earn certification; you can take this test within one year of purchase of your online course. 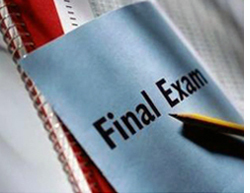 As soon as you finish your test, you will be told your scores and we will mail your hardcopy certificate immediately. So, it's just the difference of five steps between an amateur and certified Project Management expert. Real time data is provided to give a clear understanding of the concepts of PROJECT MANAGEMENT. 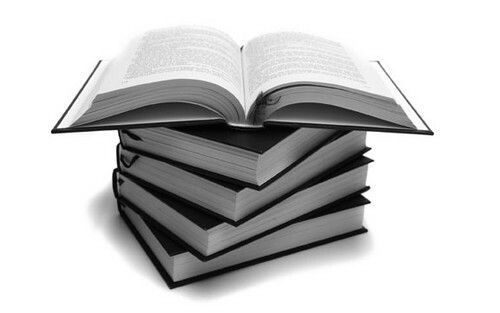 course and certification more attractive to the readers. Tollgate Questions are provided to measure the completeness of the subject. Brainmeasures online project management certification is very competitively priced at USD 85 which includes both course and certification fee. It is a perfect combination of intensive and extensive knowledge on the subject. Designed by experienced faculty, it is complete guide and touches each and every aspect of the subject and will help you master Project Management tools and techniques with perfection. certificate from link provided in your account. 300 page well researched courseware on Project Management. An online transcript id which can be used to showcase your results anytime on internet. Result forwarding facility using which you can email your results to prospective or current employer. that are essential elements for a successful project implementation. drive success at both the project level and in an organization-wide implementation. It is not very hard for Project Management professionals to find a job, simply type the word “Project Manager” on any job portal and you can see thousands of job listings. Job prospects for certified Project Managers are bright both within and outside the organization as many companies are planning to introduce Project Management concept within their organization. 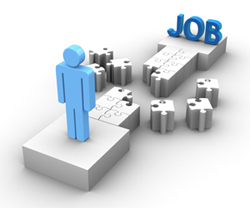 The Bureau of Labor Statistics predicts excellent job growth for project managers in construction through 2014. Increasing complexity of construction projects could, however, drive demand slightly above average. The outlook is much stronger for product managers in industries with strong growth prospects, such as high tech and biotechnology. With companies hiring certified Project Managers more than ever, there is no dearth of jobs available with some of the best companies. Qualified and certified Project managers also have extensive experience also have the option of opening their own consultancies. Project Manager bonuses are based on a company's profit from a project; a good Project Manager on a multimillion-dollar construction job can make tens of thousands or even hundreds of thousands of dollars as a bonus. You can enroll in Brainmeasures online PROJECT MANAGEMENT course any time of year and you can complete your course within one year of your enrolment. You will get access to your course as soon as your payment is processed. Testimonials of Brainmeasures Certified Project Management Professionals. Where certified Brainmeasures PROJECT MANAGERS are working. Brainmeasures six sigma certification has been designed to give you basic knowledge of six sigma and is a complete and comprehensive guide to Project Management training; it is a perfect combination of intensive and extensive knowledge on the subject. This course is basically composed for the young professionals from any discipline like engineering, management, enterprise resource planning, or software development who want to learn about the six sigma methodology and prepare for Project Management certification. Brainmeasures six sigma certification has been designed to give you basic knowledge of six sigma and is a complete and comprehensive guide to six sigma green belt training; it is a perfect combination of intensive and extensive knowledge on the subject. This course is basically composed for the young professionals from any discipline like engineering, management, enterprise resource planning, or software development who want to learn about the six sigma methodology and prepare for six sigma green belt certification. Brainmeasures Online Lean Management certification and courseware program is basically composed for the young professionals from any discipline like engineering, management, manufacturing, enterprise resource planning, or software development who want to learn about the lean management methodology and prepare for lean management certification. Brainmeasures online lean management certification and course is a complete information portal and A-Z guide that will help you learn all the necessary techniques to master lean management system. Brainmeasures Online kaizen Certification and courseware is the most comprehensive well researched course available on Kaizen Management, it is a perfect mix of extensive and intensive knowledge source and all the aspects of the subject have been kept in mind while designing this Online Kaizen course. Simple and safe payments through PayPal. Thousands of certified professionals working in leading organisations worldwide. 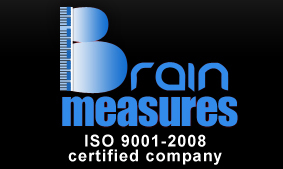 Brainmeasures is one of few skill testing and online certification company which is ISO 9001-2008 certified. Our tests and course material is prepared under strict ISO guidelines by experienced professionals who have years of experience in their respective fields. Each course and test prepared goes under several rounds of content analysis and proof reading, so that we can deliver best quality tests and course contents. We use PayPal for monetary transactions which is one of the most trusted and reputed credit card transaction processors and is responsible for debiting correct amount from your credit card. Moreover, we use ssl technology for transferring payment information which ensures that the information provided by you cannot be decrypted during transmission. At Brainmeasures we do not store any information related to credit card on file. Brainmeasures respects the privacy of each individual who registers for our services; being truste seal holder further strengthens our claim, we uphold and comply with strict truste program requirements, putting us in league of big names such as yahoo, AOL, Facebook, PayPal, IBM when it comes to internet privacy, safety and trust. Brainmeasures website is secured with a GoDaddy.com Web Server Certificate. Brainmeasures is verified member of VeriSign which is number one trust mark on internet. Why Brainmeasures project amangement course available at such reasonable price? Brainmeasures (an ISO 9001-2008 certified company) offers its project management course material (leading to certification exam ) developed by expert managers at very affordable price only for limited time span and soon its prices will be reviewed. We do the aesthetics planning, design and overseeing of mall, store, and shopping center interiors, and it can be a very tricky thing to stay on top of. Some of my project heads were having trouble staying with their workers and outsourced stuff, so I recommended the project management course at brainmeasures to them. I haven’t heard about any more problems since. Designing a new soda isn’t as easy as it sounds, and there’s lots of facets to the whole process. There’s the chemistry, culinary arts, marketing, and that’s just the obvious stuff. We always managed to get your stuff out on time, but it used to be an up hill battle. After some advice learned from the brainmeasures project management course, though, the stress isn’t nearly so high. I thought I was going to lose this commission because we were way behind on our deadlines, and we only had a couple years to get this big service off the ground. I was beside myself worried, but after I took the project management course from brainmeasures, I was able to increase my competence in the managerial part of this, instead of just the programming. That helps a lot. This was our first project to put out a guide for this hot new RPG that just got imported from Japan. My team ,we were all fresh out of college. We hadn’t expected them to not give us an intermediary overseer, but they didn’t. If I hadn’t taken the brainmeasures project management course previously, out of interest, we would have failed from the start. Development Supervisor, mobile software firm. Brainmeasures is awesome. I was able to get so much more efficiency out of my development team by looking inward at my own management skills with the six sigma black belt certification they offered. Now we’re getting our software out on time, and we’re getting more features in per release than ever before, because we all work so well together. We never know when new products are going to erupt from R&D here, and we have to be able to find a way to market and package whatever it is at the drop of a hat. My team is good, but managing the flow of getting the plan built at that speed takes some management knowhow. I got mine from the brianmeasures project management course, and I recommend that be where you get it too.